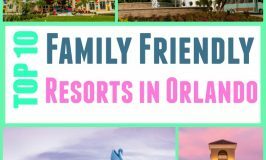 So, you’re headed to Daytona Beach for a fun family vacation, but not sure what to see and do while you’re there? Lucky for you I have got you covered! I recently took a weekend excursion to the “World’s Most Famous Beach” and I have the inside skinny on where to eat, where to stay and where to play! Let’s start with the most important thing. Where to eat. Dining out is my family’s favorite activity while on vacation, it’s so much fun to try new foods in fun, local places that we never get to experience at home. I think this is the one thing that surprised me the most about Daytona, the food here is absolutely phenomenal. There are so many local hole-in-the-wall restaurants here that deserve a shout out for their excellent food, service and atmosphere. 1. Crabby Joe’s – Located on a local fishing pier this restaurant is about as laid back and family friendly as you can get. The fish tacos are to die for, the avocado ranch burger is perfection and the chocolate peanut butter pie…… well the name says it all. 2. Racing’s North Turn – Racing history, food and amazing ocean views make this the perfect place for a family lunch. Located where racing began in Daytona, Racing’s North Turn is an official historical landmark and they take much pride in their strong racing heritage. I suggest that you try the Pit Crew and the shrimp tacos, so yummy! 3. Sloppy Joe’s – Located in the Oceanwalk shopping center, this fun restaurant boasts live music, great food and tables with beautiful ocean views. I highly recommend the Cajun Chicken Alfredo and the signature Big Sloppy w/Cheese. Eating gluten free? Let the staff know and the chef will whip you up an amazing BBQ chicken dish that is completely gluten free. By far the best restaurant we visited in Daytona. The food here was pure perfection on a plate. You can’t come here and not try the Roasted Red Cream Sauce pasta bowl. I have never tasted such a divine Italian sauce in my life. Not in the mood for pasta? 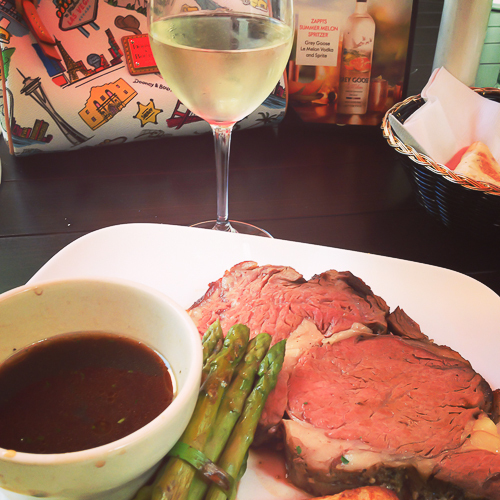 The prime rib with grilled asparagus is sure to please any palate. 5. Down the Hatch Seafood Company – Started by the daughter of a pirate and school teacher, Down the Hatch is a unique and delicious dining experience complete with an over the water dining room. I recommend you try the Fried Fish of the Day Sandwich (how the hatch got started!) or the Hatch Style Pork Chops. So once you have a full and satisfied belly, you are going to need a place to stay. 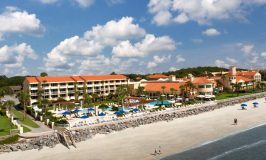 There are 2 places that I highly recommend for families visiting Daytona Beach. 1. 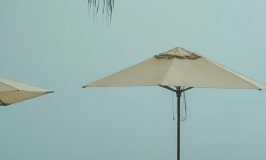 The Shores – Surf, sand, service and style, that is what you will get when you stay at this beautiful beach side resort. 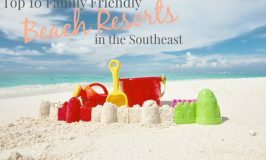 Amazing ocean view rooms, onsite dining, beachside pools and cabanas and nightly marshmallow roasts make this a wonderful place to stay for any family looking for a beachy getaway. 2. Wyndham Oceanwalk – Located directly on Daytona Beach, this high rise resort is surrounded by shopping, food and entertainment. Relax in the lazy river, play on the beach, enjoy the indoor and outdoor pools and take advantage of numerous activities like volleyball and miniature golf. This resort is the perfect place to stay and play. Now that you are rested and ready to tackle a day of fun, let’s talk about where to play! 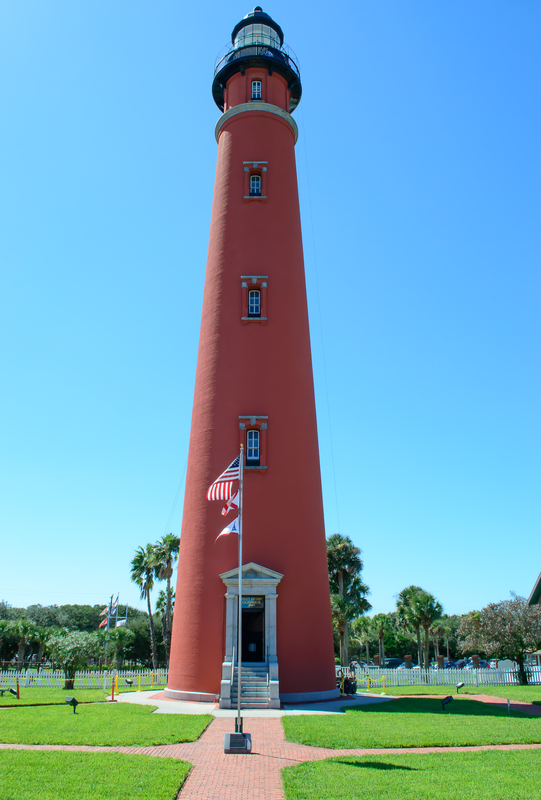 Beautifully maintained by the lighthouse preservation enter, Ponce Inlet Lighthouse is Florida’s largest lighthouse with a full 203 steps from top to bottom. 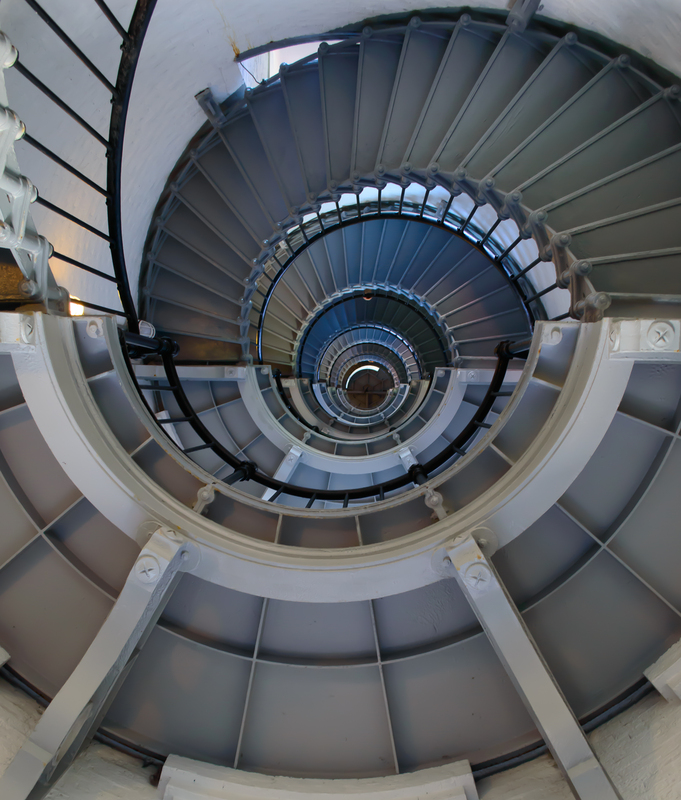 Breathtaking views of the ocean await you at the top, stay at the top as long as you like, when you are done you can explore the history of the lighthouse with the lighthouse keepers quarters that have been turned into interactive mini museums. 2. Daytona International Speedway – Go behind the scenes of the most famous raceway in the world. Every year the Daytona 500 draws thousands of race fans from all over the country, some even camping inside the raceway to make sure they get the best seats for the main event. Daytona International Speedway offers 3 tour options for your family to get an up close glimpse of what race day looks like. 3. Angell and Phelps Chocolate Factory – No trip to Daytona is complete without a visit to Angell & Phelps Chocolate Factory. Started by 2 women in the early 1920’s, this chocolate factory still uses the time tested recipes of the 2 incredible ladies that founded it. Take a free tour at the top of every hour and sample some of the amazing goodies that made this place famous. 4. Museum of Arts and Sciences -This museum combines the best of art and science in a fun interactive way. 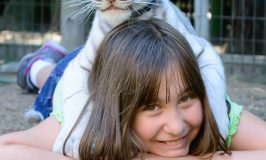 Kids will love the children’s museum with fun exhibits like race track build stations, doctors office and roller coaster builder. Your whole family will have a great time here. 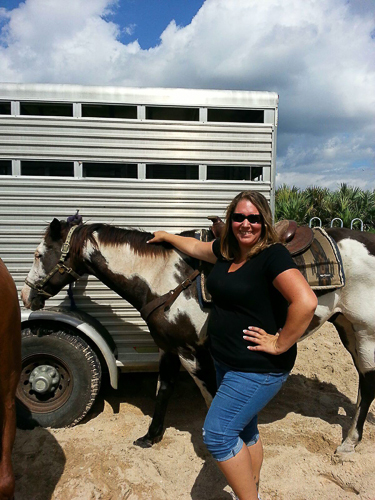 If you are looking for a truly unique family experience, I can’t recommend Equestrian Adventures of Florida enough. 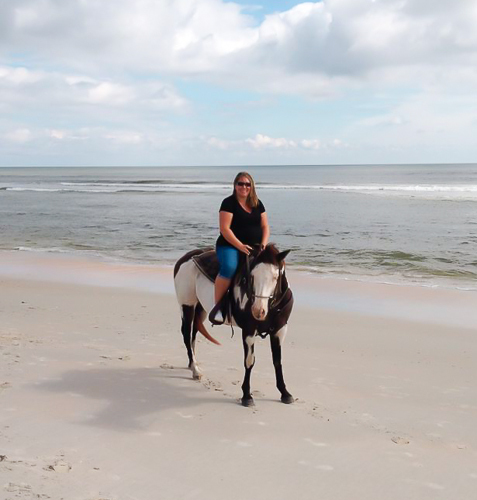 Specializing in horseback rides on the beach as well as off beach trail rides, the husband and wife team at EAF are so much fun and provide an experience that you can’t get anywhere else. 6. Daytona Lagoon – Go karts, laser tag, full redemption arcade and a waterpark all in one place. This is the place to go to wear your kids out for the night. One day here and your kids will leave happy and exhausted. 7. The beach! – Of course you can’t leave without visiting the reason you came in the first place. The beach! Daytona Beach is the only beach in the country that you can drive on, making a day at the beach much easier than ever before. Just pack up your car and drive to your perfect spot, no need to drags kids, floats, toys and coolers across the beach, just pull up and unload. So easy, especially for families with little kids! 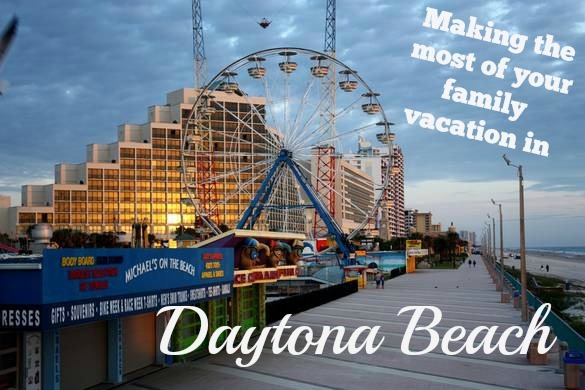 With these tips and tricks you are sure to make the most out of your Daytona Beach vacation! Hope you have a fantastic time! Thank you to Daytona Beach for hosting us on this fun getaway. All opinions are my own. Please see my disclosure policy for details. Thank you so much for such a nice review, we appreciate you visiting our Restaurant & the kind words!